Introducing Travel Social Media Post and Stories Set. You will get 50 PSD Files in two size: Facebook and Instagram Post 1080×1080px – Instagram Stories 1080×1920px. Easy to customize. File format: .psd for Photoshop, Illustrator or other software. 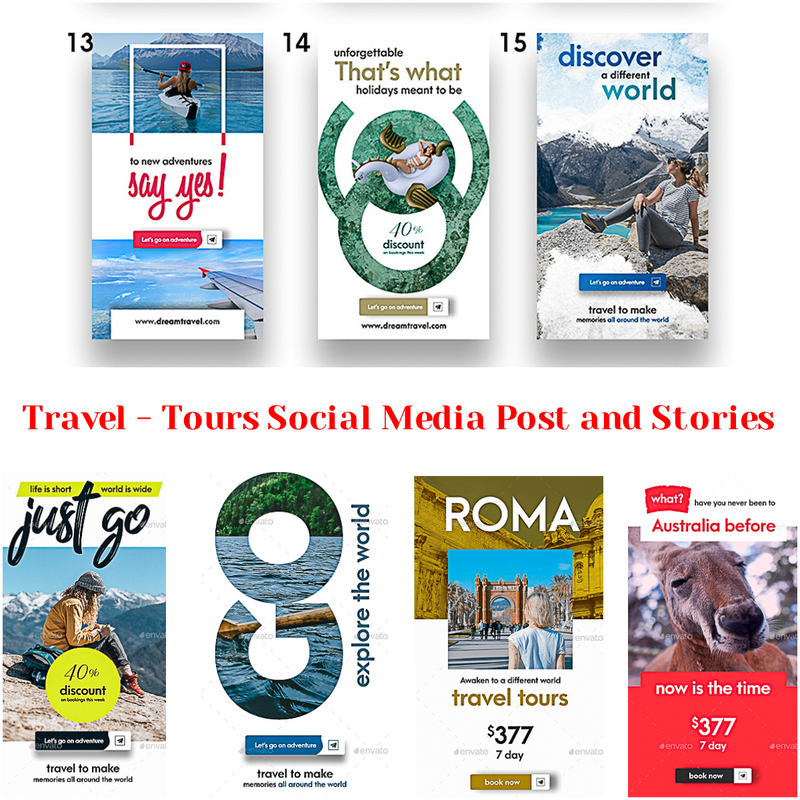 Tags: ad, ad banner, banner, facebook, Facebook Banner, facebook post, facebook stories, facebook story, facebook travel, facebook vacation, instagram, instagram banner, instagram post, instagram stories, instagram story, instagram travel, instagram vacation, social, social media, travel, travel ad, travel banner, travel post, vacation, vacation banner.